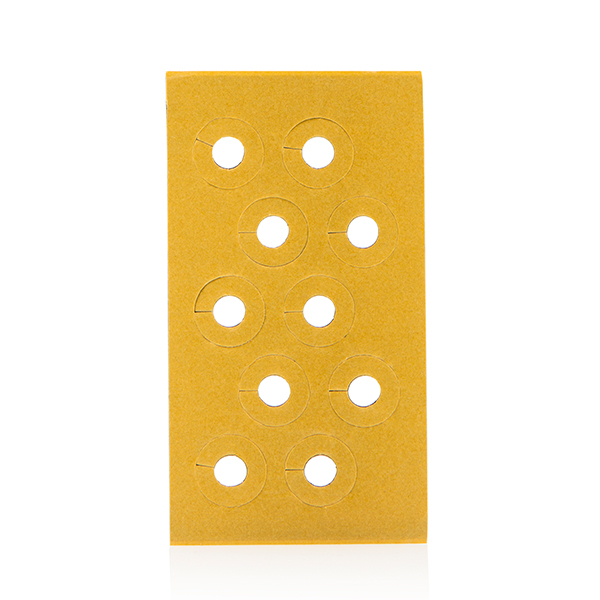 Take the hassle out of your DIY tasks with these adhesive marking discs, a simpler marking solution when drilling. A quick and easy way to get accurate drilling guides, perfect when hanging pictures, mirrors, curtain poles, tv brackets and shelving, without the need for templates and measuring. Push the Fixeeze disc out of the sheet by pressing on the white side. Place the Fixeeze disc on the back of the object to be hung, leaving the coloured peel visible. Remove the coloured peel and align the object in the correct position without touching the wall. Once you are happy with the position, press the object firmly against the wall and then pull it away, leaving the Fixeeze disc on the wall to drill through. 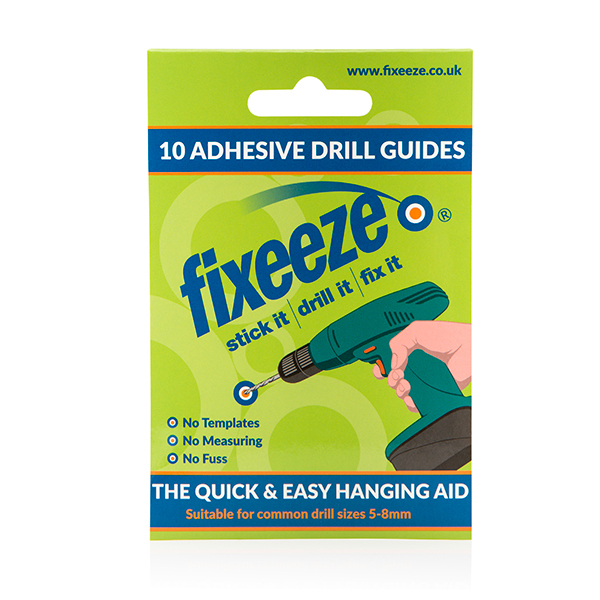 Fixeeze adhesive discs are great for use with hidden fixings, objects that are awkwardly shaped or too big to hold and mark.